The VCI speedtest service has been changed as follows. 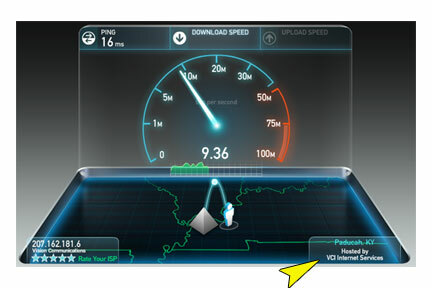 VCI has joined the SpeedTest.net network! Joining the SpeedTest.net network allows our customers to test their internet connection against a VCI SpeedTest.net server or test against many other servers across the internet. 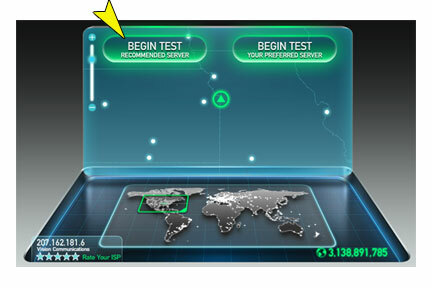 This service also allows for speed tests from iPhone or Android smartphones. To use SpeedTest.net visit SpeedTest.net. Click the "Recommended Server" on the top-left. The bottom-right should say "Paducah, KY" and "Hosted by VCI Internet Services"
If VCI is not your recommended server you can click "Begin Test Your Preferred Server" at the top-right" to choose VCI.